Here, in this follow-up to my previous post, How Do Therapists And Counsellors Protect Themselves From Getting Traumatised?, I’d like to share some mantras and visualisations for trauma therapists that are used by counsellors, psychotherapists and Arts Therapists in their day-to-day working lives. Supportive self-talk and related practices play a part in helping us not become incapacitated and caught up in our clients’ trauma fields. 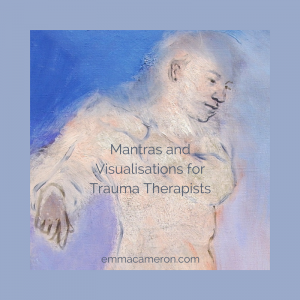 I don’t take credit myself, for these mantras and visualisations for trauma therapists were supportively offered in an online group for therapists. I’m sharing them here with the generous permission of the contributors. (Most preferred to remain anonymous, but some are credited – you’ll find their names below). Mantras are things you can say to yourself, either sub-vocally or out loud, depending on the situation. Sometimes mantras are most effective when repeated over and over, according to what you feel you need. You might repeat single words to yourself, perhaps combining this with tapping or patting on your chest. Acknowledging and holding pain with not just compassion for your client but also tender self-compassion, can be very powerful. I have written elsewhere (see below) about other practices that therapists use to help themselves keep grounded and supported, both in and after sessions. Movement is well known to be an important aspect of processing trauma. Several of the therapists quoted above agreed on the importance of taking a particular perspective on the work they do with their clients. Acceptance and Commitment Therapy (ACT), which I hold in high regard, places great emphasis on the importance for self-care of continuing to hold one’s values in mind. 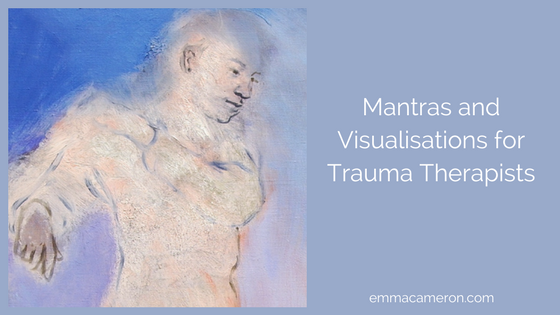 What Other Mantras and Visualisations for Trauma Therapists Do You Find Helpful? 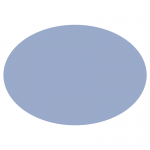 Counsellors, psychotherapists and Arts Therapists often work with people who have suffered trauma. To continue to be present and available to help our clients, and not get burned-out by the challenging nature of trauma work, it’s really important that we find effective, meaningful ways to support ourselves. Do you have a favourite mantra, quote, visualisation, ritual etc, that helps you to keep yourself grounded and supported as you do trauma work with your clients? Please share it in the comments below! I would like to extend my sincere thanks to all the counsellors and therapists who have contributed their mantras and visualisations for trauma therapists. I would particularly like to mention Renee Beck, LMFT in Oakland, CA; Mark Rosenthal, LCSW in Louisville, KY; Modena Jenkins, LMSW in Wichita, KS; and JoAnne Hanson, LMFT in Philadelphia, PA.